Paris art museums throw considerable light on the glorious past and artistic vibrancy of this French capital, and exposes public to the most interesting contemporary artists. This city of love, lights, fashion has long been considered as the art capital of the world too, and this place has historically been the inspiration, severed as the central hub, the launch pad of trends and of course the exposition place for the renowned artists from all over the world. These outstanding museums are of extreme historical importance, as it preserves the globe’s finest and richest collections of all sorts of fascinating art-work. Some of the best impressive classic and modern art are found in the fantastic Paris art museums and galleries. Louvre Art Museum is the largest and most popularly visited Museums as well as an iconic landmark of Paris. It boasts the worlds’ widest and richest collection of arts and antiques that dates back to about 3000 years. This splendid museum covers an area of 60,000 square meters, where more than 35,000 marvelous art works have been displayed. It is unquestionably the finest Paris art museum, and is considered as a jewel in the crown of French Culture. This Louvre museum has also been shown in the Tom Hank’s blockbuster movie “Da Vinci Code”. Originally built in the year 1190 as a fortress, today this museum is mainly well-known for Leonardo Da Vinci’s amazing painting Mona Lisa, masterpieces of French Romanticism by Delacroix and Géricault, collections of decorative arts, Greek and Roman antiquities; Mesopotamia, etc. Another must see Paris Art Museum is Musee d’Orsay, where tourists can take a view of the various impressionist and post impressionist art work including the marvelous works of the renowned artists like Monet, Renoir, Degas, Manet, Cezanne, Gauguin and Van Gogh. 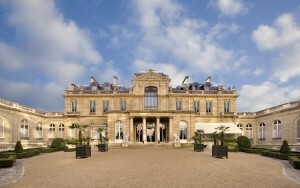 The largest collection of French Paintings, sculptures, furniture and photography are displayed here too. Situated at the center of Paris, Pompidou Center is another worth mentioning museum in this city, which demonstrates a vibrant, cutting-edge display of modern architecture. Collection of the new Asian and African work, monographic collections of Picasso, Matisse, and Braque are the reasons why this Pompidou Centre has become so popular amongst tourists. Pompidou’s collection not only explores the fantastic architecture, innovative intricate designs, beautiful photography; but it also displays renovated contemporary and modern art. Inaugurated in 1977, the National Museum of Modern Art houses one of the world’s most prestigious collections of 20th century art. This entry was posted in Basic Travel Tips for Travelers to Paris and tagged Musee d’Orsay, National Museum of Modern Art, Paris Art Museums, Paris art museums and galleries, Pompidou Center. Bookmark the permalink.